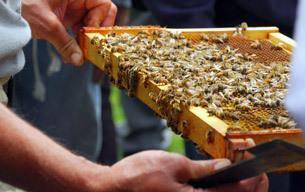 Beekeeping has had its five minutes of fame for the past five years. Now more than ever, people are asking “What will happen if the bees are gone?” Your paper should research and help answer this question. Beekeepers can help 4-H students learn about honey bees and native pollinators in their state, as well as their own State Pollinator Protection Plan. Beekeepers should reach out to their local 4-H students and support their education about honey bees. Sign me up to receive wasba.org email updates! Join the WSBA. Learn about our mission and member benefits. Reminder to members: Membership renewal is due by March 30. Your participation and support is appreciated! Thank you to our generous sponsors who advertise in our Newsletters.